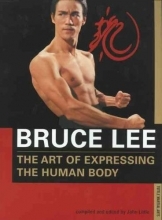 Beyond his martial arts and acting abilities, Bruce Lee's physical appearance and strength were truly astounding. He achieved this through an intensive and ever-evolving conditioning regime that is being revealed for the first time in this book. Drawing on Lee's own notes, letters, diaries and training logs, bodybuilding expert John Little presents the full extent of Lee's unique training methods including nutrition, aerobics, isometrics, stretching and weight training.